Doorking Circuit Boards, Doorking Loop Detectors, Photo Beams, and more..
Doorking 6003 swing gate actuator offers convenience and reliability in a compact design. It mounts directly on your gate and pilaster, simplifying installation and eliminating the need for concrete pads. The powerful screw driven piston connects directly to the gate eliminating weak mechanical connections and it is fully enclosed to prevent dirt and other airborne corrosives from contaminating the screw threads. 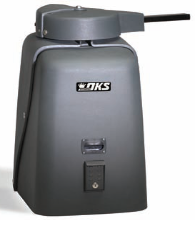 The Doorking 6500 or DKS 6500 swing gate operator is designed for residential, commercial and industrial applications for both single and dual-leaf gates. The unique design of this operator allows for easy access to the electronics and mechanical areas of the operator without ever having to remove the gate arm. 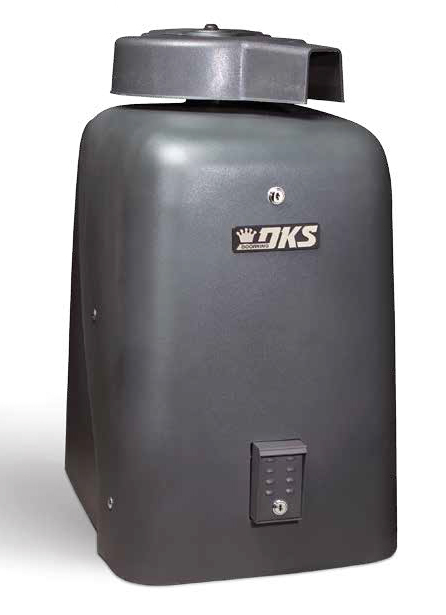 The new DKS 6524 Swing Gate Operator keeps running when AC power has been lost. The solar power version is ideal in applications where AC power is unavailable and allows you to add your own solar system for power, or you can choose the DKS solar kit. The 6300 series operators are designed to operate vehicular swing gates in residential, commercial and industrial applications. Pad or post mounted NOT INCLUDED MUST ORDER KIT SEPARATLY The unique design of these operators allows the gate arm to be attached to the bottom rail of the gate. These operators can be equipped with a factory installed DC Convenience Open option which will automatically open the gate in the event of a power outage. 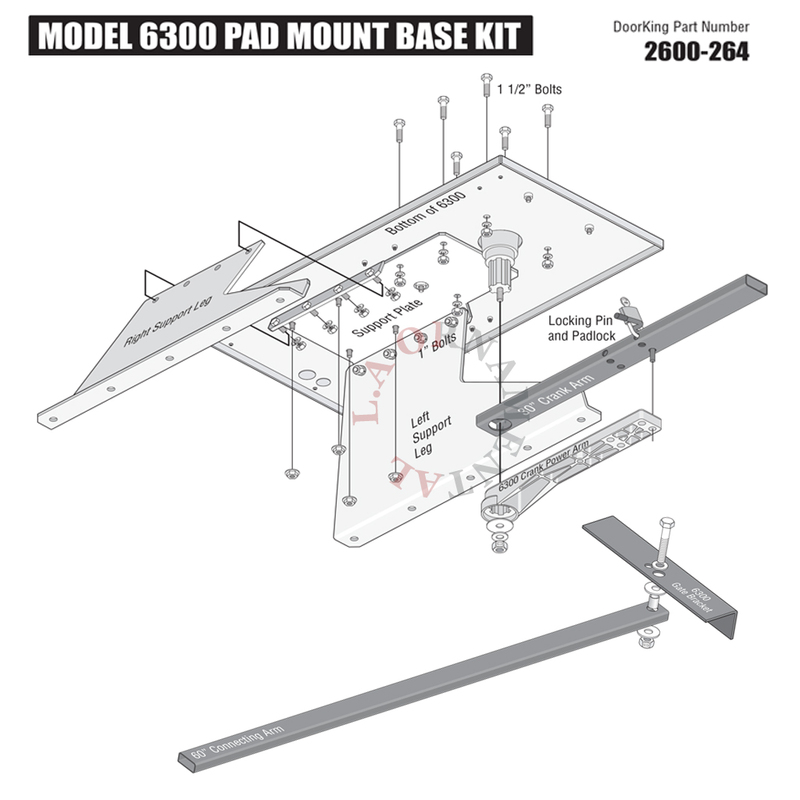 Pad Mounting Kit - Required Part pad mounting kit allows the operator to be mounted directly to a concrete pad. 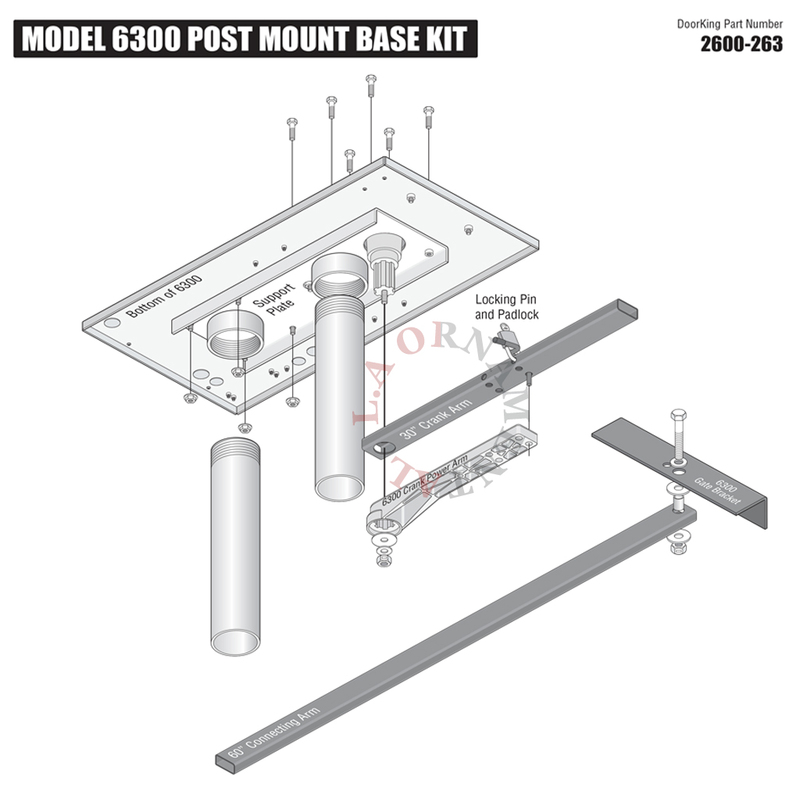 Kit includes mounting base and necessary hardware. Use this kit with the 6050 and 6100 operator only. into a poured concrete foundation.